Mark was a wonderful realtor to work with. He was very knowledgeable about the market and what it would take to get our home sold. The listing of our home looked amazing! He uses a professional photographer to photograph each home and even has an awesome video made to add to the listing to really make the home shine and appeal to buyers. He was ready and willing to do as many open houses as we needed until we had a solid offer. He was a great negotiator for us in the selling our former home and in buying our new home! He walked with us step by step through both processes keeping us completely informed on everything. He was extremely patient in answering all of our questions. Mark is a straight shooter and was honest with us which we appreciate from someone in his line of work. We recommend Mark in a heartbeat to our family and friends and were extremely pleased with both of our transactions with him! Thanks, Mark! Ben is a true professional. He made our home purchase as smooth as possible. He was there at every turn, being our advocate, giving advice and getting things done when I didn’t think they were possible. Looking back at our home buying experience, I give Ben so much credit. I thought I had found some “hidden gems” so we drove miles and miles and walked through some sketchy houses, and he was there with us through it all, in stride, with a positive attitude and smile. We even lugged around our crazy 2-year-old and Ben would keep an eye on him while we were scoping out the back yard or checking upstairs. He knew our reason for buying a home and was motivated to find the best fit for us. It was truly a pleasure working with him! Mark is very personable,very nice we enjoyed working with him.Mark listened to all our needs and was available when ever we needed him.Mark found us our forever home. We will definitely recommend him to our family and friends. Thank you for everything. We truly appreciate your hard work and dedication. You were very supportive throughout the roller-coaster ride we experienced during the entire process of selling our home. We made it to Daytona last night and as you can see from the attached photo we enjoyed a leisurely walk on the beach this morning. We have shared with our friends how delighted we were in selecting Roundtable Realty to represent us in the sale of 8711 Sanchez Road. Amazing speed to get things rolling-- 2-days of negotiating and closed within 3-months on a short-sale (thanks to their slew of referals: lawyer, inspector, mortgage, and insurance contact). Extremely knowledgeable about the area and a great asset to the community. - Toni C.
My name is Linda Sepulveda and I was referred to Round Table Realty by the satisfied homebuyer Julie Benedeti. Julie recommended Frank Whibley from Round Table because of his outstanding service! From the moment I met Frank Whibley I was impressed! His knowledgeable, polite, and professional mannerism could not be matched! Frank went above and beyond throughout the whole process of looking and purchasing a home. I trusted Franks input, suggestions, and advice regarding any property we came across. He even designed my own portal on the Round Table Realty to view homes of my preference. The Round Table Realty website is phenomenal! I consider Frank Whibley to be one of the most wonderful, honorable, and genuine people that I have ever met in my lifetime! I feel very fortunate to have had him as a realtor! I recommend Frank to anyone that I come across as a “potential” home buyer. My experience with your realtor Frank Whibley is something that I will always remember! Due to unforeseen circumstances, my home purchase did not go through but, Frank’s performance cannot be overlooked! I would like to commend Frank Whibley for his wonderful service to me and Round Table Realty for the opportunity to purchase a home. In the future I will return to Round Table Realty and request Frank Whibley as my realtor, because he is the BEST! Please consider Frank Whibley as outstanding realtor of the month and year! He deserves many rewards for his outstanding service! “We had not shopped any real estate for almost 25 years and Angel was just who we needed to find an investment property that we could gently rehab and rent to a family member. She has valuable experience in the closing process and came up with creative solutions that several other agents had never even heard of. We ended up with a great value of a short sale with ownership involving a distant serviceman, the US Corp of Engineers and the US Army. She negotiated these complications with minimal problems, all the time keeping us well informed with texts, e-mails and timely phone calls. We never felt rushed or wondering where we were in the process. Angel is the best and a joy to work with. I just closed on my first condo; Howard here at Round Table Realty helped me in finding a place. He helped me look at the various other properties. He was attentive in returning my phone calls and being supportive. [He] Helped me entirely through the process and had great recommendations on home inspectors... and just the whole process from start to finish. I dont think I would've gotten nearly as good of a property as I did had I not had Howard as my advocate. So, go ahead and choose him if you're looking for a Realtor in Jacksonville. Erica Jolles was recommended to me by a co-worker and friend. I contacted her to help me find a new home after outgrowing the home I currently owned. We went to various properties and finally found one we liked. We had a contract on the house, however after various issues with the home, we decided to not go through with the purchase. Erica was very understanding. Throughout the whole process she was helpful, professional, and extremely knowledgeable. Shortly after, we found a new construction home. Erica helped negotiate things into the contract I would have never thought to ask for when purchasing a new home. As we had such a good experience with her, we listed our old home with her. She went through the home with us, advised us on what to fix, and even recommended some contractors. It sold in less than three months, though was difficult sell. The buyer was a using a very tricky lender, but Erica was able to guide us through all the needs/requirements of the lender with ease. I’m not sure we could have sold our home without her. Overall, Erica offers excellent customer service, is very prompt, organized, and knows her market extremely well. You can definitively tell that she has passion at work and loves what she does. She will exceed your expectations! I highly recommend her services and I will definitely use her as our agent in the future	- Cassie F.
MY HUSBAND AND I HAD THE PLEASURE WORKING WITH NIKI MORAN FOR THE LAST TWO YEARS, YOU CAN'T FIND A BETTER PERSON TO WORK WITH, SHE HAS MADE OUR HOUSE HUNTING LESS PAINFUL, VERY DETAILS ORIENTED AND KNOWLEDGEABLE ABOUT NEIGHBORHOODS AND SCHOOLS, WE HIGHLY RECOMMEND HER SERVICES. We couldn't have asked for a more reliable, responsive and proactive Realtor! Frank Whibley went above and beyond what we had ever imagined a great Realtor to be. The only thing he didn't do was pay for our house! Although we bought our house from over 600 miles away, we never once felt like we missed a thing thanks to Frank's hard work and dedication, which included pictures, videos, information derived from extensive research, his unbiased and honest opinion, responding within minutes to our emails/texts, working late at night (many nights) to help us find the right place, and even buying us a GE Personal Security Alarm System Kit for our house because we closed a month before moving in. The list can go on and on and on, but you'll just have to make him your Realtor to find out for yourself just what "People before property" really means! Thanks Frank! Our family really enjoyed working with Howard. He was not only incredibly patient and helpful, but he made it feel like we were working with a friend instead of a business man. He took time to answers our calls, concerns and questions. I highly recommend him to anyone looking for a professional and knowledgeable realtor. Frank is amazing! He helped us through all the process of buying our new home. We didn't have plenty of time and he always found the way to make our schedules work. He was always interested in our concerns and how to solve them. When he goes to show you a house, he will make you see all the little details and things that you would never see if he doesn't show them to you, giving you the confidence that you are in very good hands. He became part of the family, and thanks to him, we found our dream house. Thank you for being very patient and passionate about your job!! My wife and I were first time homebuyers and were new to the whole process of home buying. We wanted a realtor who cared about us and what we were looking for in a home. We were so blessed to work with Erica as her professionalism and responsiveness separated her from her peers. She understood our schedule and constantly provided us with updates of new homes that just came on the market. She was patient with us as we evaluated options and continued to provide valuable insight and perspective on what to look for. I felt that she looked out for our best interests and made herself available as much as possible. The home we selected was a combination of us locating the community and Erica wisely recommending that we consider the home for a variety of reasons. Once my wife and I saw the home together it became clearer that this was the home we wanted for our family. I can honestly say that without Erica's foresight and judgment I'm not sure if we would have found this home simply because we were not looking at this specific model. Erica did a fantastic job of paying attention to important details and asking the right questions. Thank you Erica! 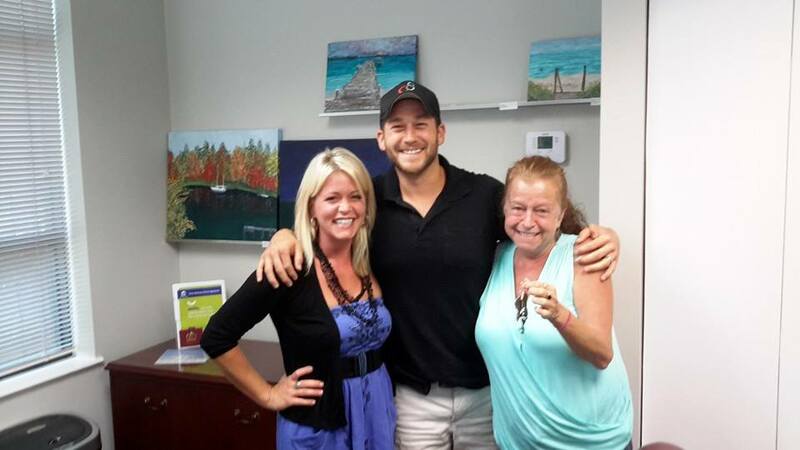 - Josh & Cheryl K.
Sold a home in 2015 in Middleburg, FL. This was our second time working with Howard. He's the only agent we will ever use. Howard, unlike many realtors you will come across, is in it for all the right reasons. He talks the talk AND walks the walk! He sold our first house and was there every step for the build of our second home. For us, the thing that puts Howard above everyone else is he makes it personal. Its never about business for him. What agent invites you to his home for a cookout? When we did have an issue with the builder, Howard always made sure that it was a painless situation that we all dealt with together. It was never a buyer/builder problem, Howard made sure he was "in the know" at all times and made sure that his customers were always satisfied with the result. He promptly attends all meetings and makes sure his clients have a clear understanding of each process during the build. Our experience with Howard can simply be summed up using Round Table's motto, "people before property." And he truly stands by this. Thank you Howard! Couldn't have and wouldn't have done it without you! We couldn't have had a better experience with a realtor. It was our first home and we of course had those new homeowners jitters, but she answered every question quickly and correctly. We would recommend her to any of our friends and will come to her when we decide to upgrade. - Will C. & Delaney G.
I very highly recommend Erica Jolles to anyone looking for a top notch real estate professional. She helped me narrow down neighborhoods, sort through homes, consider all the advantages and disadvantages, get through all the paperwork and forms, make the difficult decisions and ultimately helped me obtain an excellent home at an excellent price. She continues to follow up on the purchase that I made to make sure things are going well. Her experience and skill combined with a great personality and dedication to both the client and the profession make her one of the best. - Marcus B.
Hi, Im Maria and this is my husband James and we met Howard back in February of this year. We decided to buy our first house and had a lot of trials going through it but Howard really fought for us. we really appreciate it and ended up getting the best deal we could for our house. It was the best experience with Howard. He fought for us and got us the best deals and walked around every time we had a walkthrough and made sure evrything was perfect for us. He saw things that we didn't see and we thank Howard for everything. Thank you! I highly recommend Bill and Nina for any realtor needs. They are true experts in their field and continually amazed us by going above and beyond in every way--from house hunting, house assessing, negotiation and getting settled in easily in a new city/area. You couldn't choose a better team. - Catherine and Martin T.
I moved to Jacksonville with little to no knowledge of how to buy a house. After several failed attempts trying to buy a house myself, I met Danielle. She is a wealth of knowledge and led me through every step, and was there for every question, sometimes even at 1 in the morning! Even when I had issues with my bank, Danielle was there to help resolve them. If it weren’t for Danielle, I’d still be living in a crappy apartment. Her hard work and dedication give me hope for the future. If only one thousand people worldwide showed this type of effort and work ethic, then we’ll definitely make it as a species. I would also like to thank her for her service to our country and the US Navy. Jillian was wonderful to work with! She was very knowledgeable and always quick to respond to all my calls, texts and questions. She made our experience buying a house a very pleasant one. We would definitely recommend her to all our friends and family! We have been working with Pam for several years and could not be happier with the service and support that we have received. We are out of state buyers and she has been there taking care of issues and helping locally every step of the way. Even after we went to contract on our home Pam has been there to assist us. We have had some problems come up and she has been very involved and has helped resolve the issues. We would highly recommend Pam Lockwood to represent you in your sale or purchase. Erin is hands down the best Realtor we have ever worked with. She was friendly, knowledgeable, professional, extremely patient, and responsive to all of our needs and concerns. She always kept us informed of new properties that met our criteria and her willingness to keep showing us places until we finally found the right one, was way above and beyond our expectations. Once we did find the right property, Her negotiating skills produced great results for us. As long as we live in St. Augustine, she will be the one we call for any of our real estate needs. She is an amazing person and I wouldn't even consider calling anyone else! Robert handled all of the talking back and forth with the seller for me. Any question or concern he brought to the table and made it work. I am very satisfied and happy to have worked with him. Also he is real nice guy and easy to talk to. 11/19/2015 – Ishamule Bought a Single Family home in 2015 for approximately $250K in Springfield, Jacksonville, FL. Erica is such a good-natured person, we really enjoyed getting to know her. She is very generous with her time, showed us many homes in Jacksonville, FL. and she was kind enough to share her knowledge of the area to us West coast transplants. We changed our minds about Jacksonville and ended up a little further South (smaller city) but she was very gracious and understanding! We will always appreciate her patience with us in our search and hope to cross paths with her again in the future. I would definitely recommend Erica, she was a pleasure to work with! - Linda L.
Gail was instrumental in creating the conditions that enabled the expeditious sale of my property and represented my needs without comprise. She was skilled at communication and her contacts in support of all phases of the sale were really valuable. How likely are you to recommend Howard Flaschen? Howard has been extremely valuable to our family during the entire process of selling our home, finding a temporary rental, and helping us navigate the building process of our new home. He is selfless, knowledgeable, and most importantly, puts people over property in every aspect. He is our realtor for life, without question. Caroline was the utmost professional and helped smooth out the buying process keeping all parties satisfied. We enjoyed working with Caroline and would definitely list with her again. So...we're getting settled in our new home. It doesn't look like a storage unit threw up in it anymore!! We are loving living in Julington creek, we have awesome neighbors and love our home....even starting on some redecorating!! I found Gail from one of listings. I was thinking of relocating from Maryland and new no one and nothing about the Jacksonville/St. Augustine's area. Gail was willing to spend the day with me knowing it was a true 'fishing trip'. Well, it turned out great. I now have a great home in Jacksonville and am working with Gail again to potentially find some commercial office space! I wish there were a higher rating! Caroline McCarthy helped me at the beginning of the year. I was interested in purchasing a home. We met and discussed my wants and dealbreakers. Right away, she showed me many homes over a period of two weeks. There was never pressure. When I didn't like something, we moved on. She pinpointed the areas I would be most comfortable (I was new to the state) in. She was always prompt with returning calls and messages. When we found the property I ended up purchasing, she was able to negotiate new appliances and an apartment lease buyout, as well as purchase price with the builder. She was helpful throughout the contracting phase and has continued to stay in touch after closing. I would highly recommend her services absolutely would work with her again on another purchase. Erin was one of the best realtors we have ever dealt with, hands down! She was professional, responsive, and best of all efficient. She actually cared about us & where we ended up. Thank you so much!! We couldn’t have been more pleased with Caroline during our selling experience. She was excellent with response time and overall real estate knowledge. Our relationship felt more like a friendship than a business relationship and she handled everything in a professional manner. We highly recommend! Michelle is very responsive to the buyer's needs, she listens and finds houses based on the buyers needs. She communicates very well and responds timely. She is willing to meet her clients at any time and takes her time with her clients when with them. I felt very comfortable with her. She goesabove and beyond for her clients. Michelle took us under her wing and tirelessly fought for my wife and me to get our first home. When the chips we’re down and our window for closing was quickly shutting, she fought tooth and nail with mortgage officers and property owners to get us into our first nest to raise our family. If you're looking for someone who will ignore your calls on the weekend or put you on the back burner, than don't use her, because she will be at your beck and call at all hours ready to answer questions and ease your troubled mind through one of the most stressful events a person endures. I would give Michelle 6/5 stars if I could, and I know you will once you hire her. I am extremely wary of Realtors, and if I sniff an iota of pushiness I will run the other way. Needless to say, when my wife and I started to look for a home to purchase, we did not use a Realtor. We found properties on Zillow and met with the listing agent to view the property. It was at one of these properties that we met Robert. He had a listing in the area that we were interested in. After 20 minutes of viewing his property and bombarding Robert with questions, we decided that the property was not for us. But, we ended up enlisting Robert to help find us properties based on our specific requirements, and they were pretty specific. Over the next few months, Robert worked with us and proved to be the consummate real estate professional. Not pushy, but not timid, Robert did a great job representing us with sellers agents and negotiating on our behalf. He’s patient, punctual and very quick to respond. He’s very personable, even affable, and has a healthy sense of humor. He also has a strong grasp of the real estate market. In the end, we purchased a great house at a great price. Whether you’re a seller or buyer, hire Robert Adams! You won’t be disappointed. <03/27/2016 - User07564698 Bought a Single Family home in 2015 for approximately $300K in Pickwick Park, Jacksonville, FL. Sold a Single Family home in 2014 for approximately $300K in Mandarin, Jacksonville, FL. Howard is extremely knowledgeable and professional. His marketing of my home was so awesome, that it sold very quickly. He is straight forward with the facts, and a fun guy too! I enjoyed working with Howard and he handled every detail quickly and thoroughly. I would definitely recommend Howard to anyone looking for a true professional in real estate. When my wife and I decided to list and sell our home, my first call was to Watson Realty. Having used Watson previously in the sale and purchase of numerous homes, we knew it was the only agency we would work with. My call to the Watson Corporate Customer Service area was to ask for a direct referral to an agent whom I could interview; meet face to face; in order to ensure that our personalities would be in synch and obtain a comfort level of their knowledge and expertise rather than relying on a resume' - and to gauge the "personal interest" of the agent with respect to their willingness to work with us on our best interest or simply wanting to list a property for potential sale. Within almost two hours of my initial call, Nina Bay had returned my call. From simply a brief phone conversation, I knew I was speaking with a true professional; open and forthright; and straight to the point....all key traits that were extremely important to us. Needless to say, that call led directly into Bill and Nina meeting with us that very night and ultimately leading to our entering into our contract with them. Little did we know at that time what phenomenal professionals they are and how so very true they are to their word and what they say. From our Thursday evening meeting; Bill taking photos of our home on Friday; the preparation of the brochures; the preparation of the video of our home being prepared for placement on the Northeast Florida's Realtors® Association website all happened by the weekend - little did we suspect that by 6pm on Monday evening following our Thursday night meeting - we would have a contract on our home!!! And to make matters even more special, I left Mandarin that morning at 4 a.m. for a trip cross country to California. Bill and Nina were tremendous. Even during my absence, they ensured my wife and I were both fully abreast of where everything stood with respect to our contract; next steps; inspections; and negotiations with the prospective buyer. Their communication with and to me; even though I was in route to the West Coast; could not have been any better than if I were still in Mandarin. Unbelievable professionalism. As we moved through the finalization of the sale and close, Bill and Nina truly led the way for us. Of all of the real estate transactions we have been involved in before; this was such a pleasure and worry free experience due to their expertise and leadership. Should my wife and I ever determine that we are ready to enter into another relocation, there is absolutely no doubt where our call will go. And not just for the two of us, but for any of our family; friends; and those who may ask us for recommendations. Thank you to Nina and Bill for all you did. Bought a Single Family home in 2013 for approximately $200K in Green Cove Springs, FL. Andrea was exceptionally helpful in finding the right home that met my needs and was in the price range I was looking for. We only had to view a couple homes before she knew exactly what I was looking for and helped me find the perfect place. She worked with me through all the financing to get the loan I needed and made sure everything was done on time and in a prompt fashion. I have recommended her to multiple friends and family, all of which have bought homes with her help and none were disappointed. If you are looking for the perfect Realtor to help with your buying or selling needs you should look no further than Andrea. She will do everything in her power to help you and get through the process with you with a smile on her face and proactive updates on all your needs and wishes. We loved everything about working with Erica! We were looking for our perfect home - the "one" - for a while, in different parts of Jacksonville and she was always a joy to work with. She was also incredibly good (and patient) with our girls (2 and 4 at the time), who were not used to houses with stairs, having grown up in apartments, so would rush up the stairs as soon as we entered! Erica would go up with them to keep them out of trouble so my husband and I could take in the ground floor in our own time! Invaluable! Erica was also on top of every detail when we found the "one" and knew all the right questions to ask, all the details to check and made sure that we knew exactly what we were paying for. We would highly recommend Erica and have and will continue to refer others to her. Thank you so much, Erica! - Emily & Mark S.
Erica is the best realtor in Jacksonville! My husband and I relocated to Jacksonville from New York City over the course of a year and a half. During that entire time, we were very calculated in our approach, and, being totally new to the area, asked an exhaustive list of questions. Erica listened carefully to everything we said and showed us homes and neighborhoods that reflected what we were really looking for. This was our first home and she was a great resource for all aspects of the process. She also made our search fun! We enthusiastically recommend Erica for your home buying and selling needs! - John & Jennifer P.
I didn't realize how much I needed a good realtor until I met Erica. She was always willing to through out possibilities of why a house woudn't work for me and encouraged me look at each house from several viewpoints and to be patient throughout the process. She delivers quality, personal service to her clients and demands the same from everyone else involved in the process. Erica helped me buy the right house for MY family...not just A house. I recently had a question about my house -- seven months after closing -- and she got right back to me. She'll be there for you and will not let you down. - Tori B. Just wanted to say thank you very much to both of you for all of your help over the long journey of selling that house. I'll be reaching out to you in the near future when I’m ready to make my next purchase. Thank you again for all the help and guidance! Jillian was excellent! Very helpful, easy to communicate with. Very easy to get a hold of as well, no matter the time of day! I would use her again and would refer anyone looking for a home to her! We had the best home buying experience with Erica and I recommend her to everyone that I know who is looking to buy real estate! From the first minute that I talked to her on the phone, I knew she was going to be the realtor we would want to work with. She is a VERY knowledgeable and honest realtor to work with. We were first time homebuyers and had a very strict time limit to find a new home. I was on a work trip in Hawaii when the perfect house came on the market. My heart sank because I was out of town and I knew it was going to go fast. Erica suggested that she show me the house the very next morning via FaceTime. I was very excited to learn that she was willing to think out side the box and go out of her way to accommodate us. We put an offer in the same day and got a contract. If it wasn't for Erica, we would have lost out on the home we wanted. If you are serious about buying a home and want a good and honest realtor that will do anything in her power to get you in the home you want, then you need to contact Erica. - Nick P.
As a first time home buyer I was wary and inexperienced about most of the process, but Erica was very honest and knowledgeable. She helped me search for a home that would suit both my picky needs and price range. Communication was easy with her through emails, text messages, and phone calls. She was always very responsive. Any question I had was answered very thoroughly, regardless of the time of day. When I finally found the perfect home she worked very fast to make sure I would land it at the price I wanted. She handled negotiating the entire deal very well. Erica was extremely patient with the buying process; we encountered several problems with the house/seller and she stuck with me the entire way until it was resolved. She will stand up for what is right! I am very happy in my home and with the service I received. I highly recommend her to anyone buying or selling a home! - Emily R.
When Caroline showed us our first house, we knew she was going to be our buyer's agent. She explained every detail of that first house and what to look for as buyers. We loved her attitude and personality. She was such a real person and down to earth. We talked as friends a lot. She never raised our expectations. She let us know when she thought a bid was too low. We bid on a home twice and twice she was right of course. She was always there to answer any questions we had. We learned so much from her about houses and maintaining a house. On the house we finally bought, she even knew the path of the Sun and let us know how much sunlight would enter the house! This was a big deal to us! This is the type of info that buyers need. If she went into that detail with us as buyers, imagine how thorough she is a seller’s agent! Just a quick 'shout out' for anyone looking for a Real Estate Agent to list their home: Jody Caputo is the most dedicated agent we have ever dealt with. She is thorough, flexible, professional, caring. I could go on! She lets you know what are the important things for you to do to make your home desirable for buyers, and knows how to market it. I highly recommend listing with her!! I would not hesitate to recommend Robert Adams. I have bought homes in the past this has been the best experience I have ever had buying a home. Robert is great he’s professional and his knowledge of the real estate in Jacksonville is impressive. Thank you Robert for make this such an enjoyable experience. 05/12/2016 – ray c4 Bought a Single Family home in 2016 for approximately $250K in Orange Park, FL. Howard definitely exceeded our expectations as a realtor! He went above and beyond helping us sell our home and with the building process of our new home. He was prompt to answer any questions and extremely detail oriented!! We are so thankful Howard was by our side through the entire process!! Erin is a very hard working and knowledgeable realtor. She put in put in some long days making sure I found exactly the home I was looking for. I was surprised at how patient and efficient she was during the entire process. Lynn Mcgowan Thank you so much Christian Corbitt for making this all possible!!. Your the best!! Oh and BTW your invited to the HW party..
She went above and beyond to find exactly what I was looking for. She was there every step of the way and answered any question I had. She actually got to know me and what I was looking for. Couldn't be happier with working with her! We had a great time looking at houses with Robert. He was available to show houses in all areas of town whether it be weekday or weekend. He was also able to answer any and all my questions or do research to find the answer. I would recommend him to anyone looking for their first or next house. <03/27/2016 - Perryhc6212 Bought a Single Family home in 2015 for approximately $150K in San Mateo, Jacksonville, FL. I imagine out-of-state buyers can be a pain for most agents but not so for Frank. We came to Jacksonville with no prior personal experience in the area and lots and lots of questions. Frank very patiently explained the finer points of Florida real-estate buying and investing and made it easy to understand! He has the enviable combination of being whip-smart and yet laid back at the same time. Call him yourself; you'll see what I mean. He once took my long-distance phone call as (unknown to me at the time) a pint of ice cream from his grocery trip melted in his car as he explained the difference between transactional agency and single agency. In my opinion, Frank's passion for and knowledge of real estate in the area (practically the entirety of Northeast FL), expertise in financing and every phase of the escrow process, and connections with all the right people in all the right places would already put Frank head-and-shoulders above most of the vast arena of Jacksonville realtors. What really makes him special is his selfless and generous nature, understanding of and empathy for his clients in what can be a challenging time, and his genuine desire to be the very best at what he does. Erica's forte was finding out exactly what we were looking for and not wasting our time. She combines a great personality with a strong work ethic and simply gets the job done. - Tracy & Rich K.
"Caroline was an amazing realtor. She understood the market and knew how to accurately price our house so that it didn't stay on the market long. Her write up and marketing on the listing were great. I highly recommend her to anyone looking for a knowledgeable realtor, with real-time knowledge of the market." [We] Love our neighborhood and our neighbors. We got really lucky moving into our house, on a culdesac, with great neighbors and kids. Sitting out on the patio in this weather... doesn't get any better than this! Fall neighborhood cookout, coming soon! We have worked with Bill and Nina through 3 real estate transactions and couldn't have been happier with the entire process of all 3. They eased the stress of each transaction and walked us through everything, never making us feel as though we were wasting their time (as we have had happen in the past with a previous realtor). We have and will recommend Bill and Nina every time! - Amber G.
My taking the time to let you know my experience with your company is a must. Caroline McCarthy was wonderful to work with. Caroline was diligent on returning my calls in a timely fashion with professionalism, taking every occasion to assist me. Weekdays, weeknights, weekends and on the day her Father passed over. Dedication! Caroline knows her job, does it well, way beyond my expectations. Please recognize Caroline McCarthy for her loyalty. She is of great worth to you and your company. After business was concluded, Caroline called and congratulated me on my new home. She stopped by and gave me a housewarming gift. Once again, asking if she could be of any further help. Service after the sale! I will recommend Caroline McCarthy and your company. Our experience with Howard Flaschen and Round Table Realty was nothing short of exceptional! 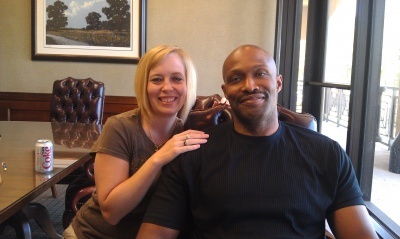 From the moment we met with Howard to discuss the sale process of our first home we knew we were in good hands. Howard and Round Table took on a difficult sale and helped with what seemed like an overwhelming process turn out to be a very smooth and painless transaction. Howard's passion, professionalism, and attention to detail made it an easy choice for us to have him on our side for the construction of our new home. Happy we chose Howard and Round Table and wouldn't have it any other way if we had to do it again! Thanks Howard! I spent several months working with Erica trying to find our new home in Jacksonville. She was very knowledgeable, patient, and easy to work with. We have had bad experiences in the past with other agents, and I could not be more pleased with Erica. I would highly recommend her to anyone looking to buy or sell a house in the Jacksonville area. - Michael & Brooke D.
I don’t think I can ever sing enough praise about our experience with Rosanne and Nikki. My husband and I recently moved to Jacksonville, FL from Columbus, OH. We are young and starting our lives together in a new city, so we were hesitant to consider purchasing a home; however, after a year of renting and settling into our new jobs, it felt like the right time. I was looking at a home on Zillow and wanted to set up a time to see it; within an hour or two of requesting a showing, Rosanne called. She was very personable and willing to work with our crazy work schedule. She was bright and cheerful when she showed us the home, and asked insightful questions about what we were looking for in a home. She had other properties in mind for us, and set up a personalized page through their real estate site that really helped us get a better idea of the home we wanted. After weeks of searching and no luck, Rosanne made an exciting suggestion about building. Being so young, we never dreamed our first home would be new construction, but were eager to learn more about the prospect. She set up a meeting and attended it with us, asking questions by our side and explaining real estate jargon throughout the process. We left with a packet of information and a newfound love for an up-and-coming community. We signed the documents and were sad that the home search was over and our connection with Roseanne would end . . . except it didn’t! She informed us that she and Nikki would be with us every step of the way! Rosanne stayed on email chains and attended purchase meetings, and put us in touch with an incredible lender and agent who helped us continue the behind-the-scenes work of the buying/building process. Nikki attended our design meeting, and was so cheerful and excited for our home buying experience. She asked the design studio questions we were too afraid to ask, and made sure that we were comfortable with every choice we made. She was a very present and encouraging part of our experience, and even took pictures of us throughout the meeting so we could look back on the awesome memories. As the building process continued, we began stumbling into some issues with our project manager on the build. But it was Rosanne & Nikki to the rescue! They attended pre-drywall meetings, demanding that changes be made and that our skeleton of a house would become the home of our dreams. At our final pre-closing meeting, they brought their broker (who was extremely knowledgeable and refused to take no for an answer; we like to call him their “ace up their sleeve”) and the builder’s sales agent (who would bring important information about our building experience to management). The fact that Rosanne & Nikki attended this meeting with the project manager was incredible, but to have them bring so many extra eyes and voices of persuasion to ensure that a project manager would not bully us young, inexperienced buyers . . . it brought me to tears! Rosanne & Nikki truly care about their clients and will do absolutely ANYTHING to make sure you are taken care of. They will stop at nothing to provide you with a positive buying environment, and will always fight for what is right. They are not only incredible agents, but are also incredible women. You don’t just leave your experience with a new home; you leave with new friends. Rosanne & Nikki, we thank you from the bottom of our hearts. We would not have the beautiful home we have today if it weren’t for your hard work and dedication to taking care of us. You are wonderful! We love you! Frank Whibley of Round Table Realty was recommended to us by both a family member and a friend, both of whom had excellent experiences with him. He lived up to his reputation and his company’s “People before Property” trademark to say the least. My fiancé and I were looking for a home to raise our newborn daughter and we were very picky about we were looking for. We had Frank schedule showing after showing for us, but couldn’t seem to find the right one. Frank never lost his optimistic attitude and constantly reassured us that we would find our forever home. We never felt pressured to choose and never felt like he had other places to be when he was with us. He treated us like we were his only client. When we finally found the right home, Frank was quick with the offer and necessary paperwork. Any questions or concerns we had he was happy to answer and always easily accessible. We are extremely lucky to have had Frank on our side and attribute finding our house to him. We would recommend him to anybody and will ask Frank to be our Realtor for any real estate endeavors in the future. Thanks Frank! Another fantastic experience with Bill and Nina! Nina was so great with helping us see every home we were interested in, including our dream home. Bill was so knowledgeable about everything and seemed to thoroughly enjoy sharing his knowledge with us dummies. Both were great throughout the entire process and made it so smooth and easy for us. I would HIGHLY recommend Bill and Nina for buying and selling! Bill and Nina were fantastic! They took care of everything and more for our sale. They were always in contact with us and we never had to worry about anything. Couldn't have asked for a better experience! Gail was instrumental in helping us find our current home, when 3 other realtors before hr told us we would not be able to find the home we wanted in the price range we needed! She helped us successfully negotiate a successful contract, when another buyer expressed interest. She is a good friend and we still call upon her for incidentals in maintaining our home, she is always knowledgeable and responds very quickly. I would most highly recommend her. You're the best! We are feeling really good about our decision....!!! My husband and I have worked with Cristina Haddad on multiple home purchases and sales. She never fails to get us the best deal possible. She’s professional, knowledgeable and readily available with answers to any and all home buying queries. Cristina is a delight and made our transactions painless and straightforward. We highly recommend her to anyone looking for peace of mind when buying or selling a home. Erica would prove to be a great resource for any buyer in the market for a home. With a wide array of knowledge, skills & a great reputation, I feel confident that she can be a benefit anyone seeking a qualified industry professional to represent them and present them with all the facts. Erica did an outstanding job when working with my wife and I and I am certain she would do the same for you! - Nadia & Chris G.
Bought a Single Family home in 2015 in Beauclerc, Jacksonville, FL. Howard cares more about his clients than he does about the sale. He proved that to us over and over again, showing us the value in he properties we viewed, as well as the issues we might encounter with some others. He also knows so many other realtors in town, which made our buying experience was incredibly relaxed. He helped us get funding, explained ever step of closing to us, and even showed up with gifts at our new house. We never could have purchased a home without him! We can't say enough great things about Nina and Bill. We wanted to sell our home and had the hardest time doing so with a realtor we didn't know much about. We decided to use Nina and Bill and they sold our home very quickly!!!! Our house sat on the market for months. After letting our previous agent go, Nina and Bill sold it in under two weeks!! WOW!! That just showed us, that they really do know exactly what it takes to sell a home. We have never seen realtors who were as organized, professional, hard working, kind, and knowledgeable as they were. They answered every text, phone call, question, and email we had very quickly. We will never use another realtor other than Nina and Bill in the future. After using them, I can't see how anyone could compare. Thank you Nina and Bill for helping us sell our home and buy our dream home!!! We couldn't have done it without you!!!! They are the BEST so don't waste your time looking elsewhere! You won't regret using them!! I had not rented a property in 25 years! But I had just negotiated the sale of over $1.5 million in real estate, some of it unexpected and suddenly found myself with no where to go with my two daughters in tow! What to do?? So I made a random call and that is when the Universe decided I was in for a Treat! I met smart, competent and compassionate Erin Mount. She found my current living situation, was always at the ready, always available, never inconvenienced, uber-professional and welcoming. She insisted I negotiate a reduction in the asking price and she made it happen! As an aside - Recently I had worked with some of the Biggest Name Realtors in the county and their Companies - Caldwell Banker, Prudential, Berkshire Hathaway to sell custom - upscale property. They cannot begin to hold a candle to Erin Mount - not one of them! The Glynn Team was very professional from the start. They really listened to what we wanted in our next home, and their experience surrounding the market found EXACTLY what we were looking inside our budget. I will be recommending them to everyone I know. Thank you so much! My house purchasing experience went extremely smoothly with Howard at the lead. Howard made if feel as if I was his only client. Always quick to respond, always available on my time, and provides information about the complicated procedure in plain English! Thanks Howard for an easy transition into our new home! My husband's work transferred us from California to beautiful St. Augustine. After no return calls and multiple no shows with other agents, it took ONE call to Erin to get things rolling. She went above and beyond showing us properties and truly taking interest in what are needs were. Erin is professional, hard working and sincerely a knowledgeable agent. Erin is knowledgeable of the area and surrounding areas, which is extremely helpful. We will be recommending Erin to other families being transferred to Florida. We will be using her services again, when we purchase our next home. Caroline did an awesome job selling our house as well as helping us purchase a new home. She sold our house in only 7 days! Caroline's quality communication and availability were excellent. She was quick to respond to any of our questions or issues that came up even on nights and weekends. In addition, Caroline made great recommendations for services such as a home inspector and repairman who were both top notch. We couldn't have been happier with our experience thanks to the great job that Caroline did! Bill and Nina are amazing! They came with a strong marketing plan, which worked beyond our wildest hopes (especially since our home had sat on the market for over five months with a different realtor). Two days after listing with Bill and Nina they got us THREE OFFERS!! While we don't intend on moving again any time soon, we wouldn't hesitate calling them if we ever do. They are helpful, caring, and masterful experts!! I cannot recommend them enough!! - Natalie M.
We made the decision to relocate from Southeastern Pennsylvania to St. Augustine, Florida in April of this year. Early on in our on-line search for a home, Kim Harshaw of Round Table Realty reached out to us by phone. Her professional and personable telephonic introduction convinced us that she was the realtor for us. Over the next 3 months, Kim became a mainstay in our daily routine of searching for the perfect home in the perfect location. She maintained contact by email and phone, while lining up homes for us to visit when we made our initial trip to Florida in early June. Based on our criteria, she had 14 properties scheduled to show us on our first day. Her knowledge of the area and real estate strategies were spot on. By the end of that first day, we had narrowed our search to two homes. By noon on the second day, we had made our decision and placed a contract on our beautiful retirement home, just 6 minutes from downtown St. Augustine. After our return to Pennsylvania, Kim continued to provide sound advice and unwavering support throughout the purchasing process. She represented us during the home inspection, initial and final walk-throughs, and settlement. She held the builder’s feet to the fire, ensuring the items found on the inspection and our personal wishes were met. Even after settlement, Kim continues to be there for us, keeping a watchful eye on our home and finding someone to maintain the property until we are able to sell our home in PA and make our move to Florida. In addition to the home search, Kim provided invaluable information on amenities, healthcare facilities, and utilities that will aide us in settling in. She is a proven professional in real estate sales and an acquaintance that we are glad to have met and now call a dear friend. business for Roundtable, and I'm sure we would have been successful. are looking to help their neighbors and not just their bottom line. Being in Texas and looking at property in Jacksonville , Robert was very accommodating, helpful, and made the most of short trips to the area. He was very flexible and didn’t waste time helping to find the perfect property. Very professional and punctual, a pleasure to do business with. 05/17/2016 – HeatherDonnelly09 Bought a Single Family home in 2016 in Jacksonville Beach, FL. I was looking for the perfect house. Mark and I worked together for about 4 months trying to find what I wanted. mark and I spent many hours on the phone over several weeks. Finally with Marks guidance and great advice, found the place where Lisa and I could call home. Mark was with us through all the things to take care of. Caroline helped my family relocate from New Jersey to Florida (St. Johns County). At the same time, she helped my wife's parents find a great rental property nearby. She is extremely knowledgeable on the housing market, as well as very patient and responsive. Specifically for those considering an out of state relocation, we were unable to physically tour a few of the homes and she provided honest feedback that was right in line with our needs and expectations. We actually ended up purchasing a home that we did not see in person based on her descriptions and could not be happier. We highly recommend Caroline without hesitation through either the home buying or selling process. Ben and Tracy's business is competitive and their website is better than most I have seen. I enjoyed their warm personalities and I just felf comfortable when I referred my nice to you as well. Thank you for helping my family! Caroline exceeded my expectations further than I even realized I needed. We were out of state buyers with no knowledge of the area and I feel super fortunate we had Caroline as our representation. Since we were not in the state for most of our home buying transaction Caroline was on top of everything including minor details. Even after our closing had long past she still treats you like a current client and is always there for you in a timely fashion. My husband and I discussed over and over how lucky we were to have randomly found Caroline. I was one of those who thought "How much do realtors really do these days?" and boy did she prove that thought I had wrong! There is no way we could have gone through this process without her. We are fourth-time homebuyers and she was an integral part of our home ownership in FL. I will recommend her to anyone I meet as she will exceed any expectations you have. 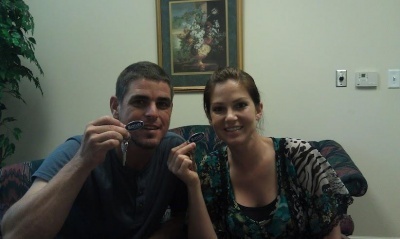 Bill and Nina helped us with the purchase of our new construction home as well as the selling of our home at the time. I honestly didn't see much value in having a realtor help with a new construction home but since the commissions would be paid by the home builder I figured I'd see if they offered any benefit. Boy, was I wrong. Bill and Nina are NOT the type of realtors that will just show up to the signing of the contract and during closing. They did so much more during this process than I could even imagine. During the contract phase, they advised on the cost of the home and what we should ask for from the builder. Nina even spoke to the Loan Officer from the builder's mortgage company to get them to waive our origination fees saving us over $1,200 dollars and allowing us to use the builder's mortgage company which came with additional builder credits which we could use for upgrades. They both also advised us on different builder options for the home which was very helpful with their vast knowledge of previous builds. They both interacted with the sales agent in a manner which was professionally tough but not to the point where the sales agent disliked working with us. The perfect balance. During the build process, I didn't expect to interact with Bill and Nina. I just didn't think that was their job. Wrong again. They were constantly checking in and even showed up to the inspection appointments we had with the general contractor to give us advice and oversee the process. They also showed up at the two final inspections we had to approve the house before closing. Once again, they were extremely helpful pointing out areas that needed to be fixed and advising on situations where we had to decide what to do. Their knowledge was extremely helpful during this process. Overall, it was great having Bill and Nina help us with the purchasing process and would highly recommend using them. 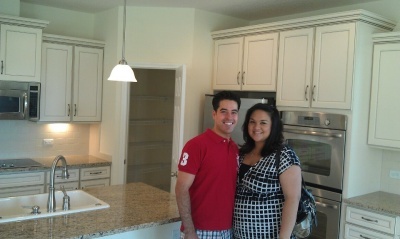 We used Bill and Nina to sell our home in Durbin Crossing. I believe they came recommended via social media but I can't remember exactly. It turned out to be a great decision no matter how we foun d them as they are both just wonderful realtors and even better people. We were building a home in a nearby neighborhood which created a lot of anxiety as we were naturally very excited about the home we were building. Bill and Nina made the selling process a great experience and really helped lessen that self-imposed anxiety. Overall, Bill and Nina are a great complement to one another and work very well as a team. They are each very good realtors on their own but they both have unique qualities that when combined together makes it seem like you are getting a super realtor for the price of one. Due to their price analysis and marketing, we constantly had people coming by to look at the house and we were amazed when they brought by the spiral bound notebook with information on our house and the neighborhood. Their organization and communication skills were excellent which I really appreciated. Once an offer was placed on our house, Bill and Nina handled that situation just as great as the rest of the process. They gave solid advice on what we should do but also gave us the freedom to make the ultimate decision. In the end, their negotiating gained us additional thousands when we would have settled for less. I can't say enough about Bill and Nina. We loved working with them and will always use them in the future if possible. Buying a home is a very emotional, time consuming, and strenuous process. One that can happen in a few short months or one that can take years. Over three years ago, my wife and I made the decision to make Ponte Vedra our home. We lived in Pennslyvania and had the luxury of time. I initially worked with multiple agents all concerned about selling a house versus understanding the needs of the client. The entire time I was looking, I kept receiving very detailed information about my searches and home types based on technology driven from a very good company, Round Table Reality, But above all , it was driven by an agent that showed integrity and persistence. I then made a transformative decision, I called the agent Frank Whibley. From the moment I talked with Frank until this day, we hit if off. Frank possesses a rare trait that more of us should have. He puts needs of others ahead of his own. That was apparent in the three year process we went through. Frank was very patient with us and committed in ensuring that we found the right home. He never pushed, never gave up and stuck with the task at hand. Well it finally paid off, we closed in January and found that house of our dreams. But wait the service did not end there. We still reside in Pa and the house needed a lot of items handled from setting up services to landscaping. Frank assisted in all of this. He volunteered to help in anyway possible. He did not just take the commission and go. He really cared and wanted it to be as seamless as possible. Tammy and I have made a friend for life and I really mean that. Frank is very ethical and transparent. Above all, he is not afraid to tell you he doesn't know something, because he will always finds the answer. He fights for his clients and makes sure that his word is kept. I cannot think of a better agent. My wife and I have moved all over the world and have purchased numerous homes. Never have a come across a man like Frank. So here is the simple statement: If you want an agent that will put your interests above his own, fight for you when needed, stay with you after the sell and not close and go. There is only one answer , Frank Whibley. Michelle was a blast to work with. She went above and beyond by showing me the house multiple times leading up to close. She listed my property and sold it in less than a day for almost asking. I would recommend her all the way! Erica is the best Real Estate agent I've ever worked with. I've used her to buy three properties in the last year. She is very knowledgeable about the area and local real estate market trends. More importantly Erica is very honest person and will give her truthful opinion. Caroline McCarthy is a true professional. She helped me list and sell my home in Mandarin as well as help me purchase a home in Julington Creek Plantation. She has been wonderful to work with. Every detail in the process from listing your house to buying, she works hand in hand with you to get exactly what you’re looking for. I have been very happy with the home I purchased about 6 months ago. I highly recommend Caroline to be anyone’s realtor in the Saint Johns area. 5 stars from me! "We were incredibly fortunate to have worked with Nina and Bill Bay for searching and purchasing our new home in Saint Johns. Our process was smooth and, in the end, a huge success all thanks to Nina and Bill. First, they took the time to get to know us and asked the right questions to gain a very in depth understanding of what was most important to us and our family's needs in finding the right home. They spent a great deal of time researching the area for our unique needs, communicating with us regularly about potential listings, and taking us to see homes that met criteria we had in mind (and getting us in to see them quickly!). We always received fast and thorough responses to our questions and did not hesitate to jump on calls to look into questions/concerns we would have about a potential home. Their vast knowledge of the area and the real estate market made the process of finding the right home for us an easy and enjoyable experience. Once they helped us find the home of our dreams in our top choice of neighborhoods, Nina and Bill thoroughly explained the process each step of the way, and helped us draw up an offer that got us the perfect home for our family. Throughout the close process, their attention to detail was impressive. They were on top of it all, keeping us informed while ensuring everything was in lock step, from repairs being made, to ensuring the loan was always on track to close as expected. They did not miss a thing and amazed us with their attentiveness and experience. Their effort, integrity, and extraordinary care during the close process made for a stress free close. We absolutely would recommend Nina and Bill Bay." Erin is one of the most efficient realtors I have worked with. She is very professional, friendly and has patience beyond expectations! She tries to help you chose the right home and calls afterwards to make sure you are happy with your new place. I will call on her again if the need arises. I wouldn't think of using anyone else. Howard was quick to respond to all of our calls and concerns during the home selling and buying experience. Two closings in one day without a hitch. Howard is very professional. 385 Wooded Crossing Circle, St. Augustine, Fl. 32084. 3204 Trafalgar Ct., St Augustine, Fl 32092. Kathy was awesome! Through the whole process of looking, and closing she was always there. Day or night she would answer the text or calls with any question I had. She was willing to go the extra mile to find any answers. I highly recommend her! Kim handled both the selling of our town home and the purchase of our new town home. She was always ready and willing to help us every step of the way! When the buyers check went to the wrong financial institution and almost prevented us from buying our new town home, Kim was on top of everything and made it all work out! She is an amazing, talented and caring individual, whom we have had the pleasure working with. We highly recommend Kim! Caroline was amazing with helping me find a great home for my parents. She was honest and meticulous leaving nothing to chance. She explained in detail the process of purchasing a home and she was not afraid to speak her mind of something did not feel right. If the neighborhood was not safe or if the home was not a quality home, she stepped up right away to let us know. She also spoke to me everyday with updates on any new houses on the market and checked to see how my parents were doing. She truly made us feel special and made a personal commitment to ensuring that we find the right home. She has extensive knowledge of all of Jacksonville and she was able to network with top vendors to ensure any house we chose was going to be safe and secure. It does not matter to her our financial status or where we came from because she made us feel as if we family. During the sale of our property, many complex issues arose, and if not for Bill and Nina's market knowledge, professionalism, and tireless efforts, we would have never been able to get the deal done. Less experienced agents would not have been able to deal with the complexity of the issues with faced. Our thanks to Bill and Nina for always being available to address our concerns and placing our interests first. We are forever grateful for their perseverance and highly recommend "Team Bay" to anyone looking to buy or sell a home. - Paul and Lesa R.
I just want to thank you for all you did during this process - starting with speaking to my sister & me about the title aspects - to - being there for me every step of the way. Your knowledge & advice was so helpful. Gail was friendly, helpful and very knowledgeable in my association with her. I would call her next time I have any realestate business. Great job! Best ever! Erica was presented with a very challenging situation that I was sure was not going to be possible. Erica came through like a champ and I will never use another again! My realtor for life! - Kelly B.
Robert is a true professional. He will work with you throughout the entire process from beginning to end. He also comes with the necessary contacts to get anything done. I would definitely use Robert to sell and buy again if that ever happens. I give Robert my highest possible endorsement. 07/20/2015 – Neilmiranda09 Bought a Single Family home in 2016 in Jacksonville Beach, FL. We were moving to Florida from Michigan; Gail spent 3 to 4 hours a day for 2 weeks showing us homes in the Mandarin area. My grown children were involved, helping to find our retirement home and Gail listened to everyone and found us a home everyone is very happy with. Very dedicated and patient finding the perfect fit. I would happily recommend Gail to anyone looking to buy or sell a home. I am a first time home buyer and my cousin referred me to her. She is very kind, cheerful and just awesome! She is a people person and she will put you first before the house/profit. She will get to know you as you--a person. What you like about a house that would be your home. 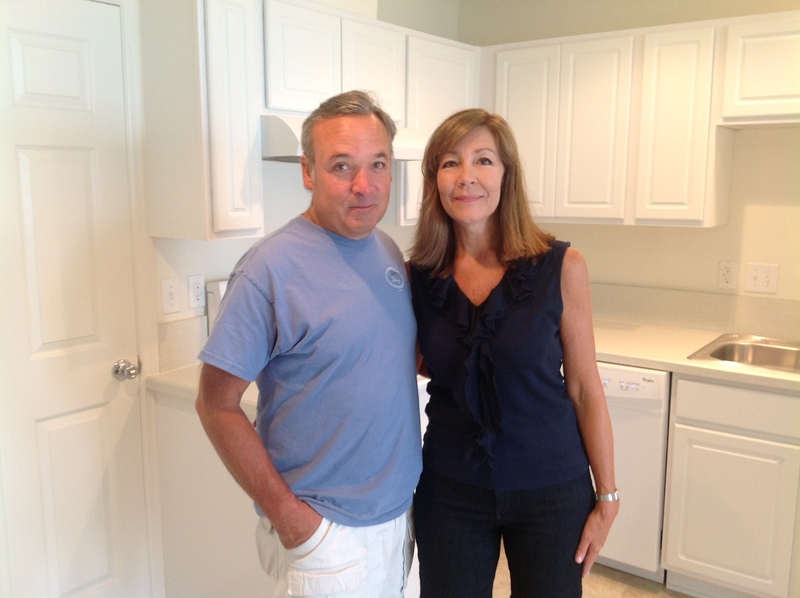 We had the pleasure of using Ben and Tracy Glynn to recently buy a foreclosed property near the beach. Ben and Tracy are a great team and they are committed to personally learning what is most important and making it happen.They have a strong understanding of the real estate market and what it takes to close a deal. As an example, we were able to close on a foreclosed property in less than 4 weeks from starting the process which was amazing! We are extremely delighted customers and will definitely use them again. I trust this team and give them my highest recommendation. After having such a pleasant experience on the RoundTable website, we met up with Howard to see what Jacksonville had to offer us. We went from contract to closing on an FHA mortgage in just over a month! With Howard's past construction experience, he isn't afraid to point out houses with potentially troublesome floorplans, structural money pits, etc. He learns your personal tastes and individual needs to the point where he actually knows what you need better than you do. He's a true consultant of his trade, and not simply a yes-man with MLS access that are so common these days. RoundTable is a fresh, alternative re-imagining of an industry dominated by technologically-challenged hucksters. - Chris B. & Stacie C.
Robert was very responsive and professional. He was honest and a straight shooter. We greatly appreciated his negotiating skills. We received an amazing deal on our home that we are certain we could not have closed on without his help and advice. 05/05/2016 – Tekac Brown Bought a Single Family home in 2016 for approximately $200K in Englewood, Jacksonville, FL. You guys are very lucky to have him on your team! We are always happy when we work with Howard and every sales agent will tell you the same thing- he will always fight for his clients but never in an argumentative way, he is fair, reasonable and very professional- an all-around asset for all parties involved! Kim was amazing in her knowledge and professionalism. She returned all phone calls and met all of our needs. Also she was always available for us. She answered all of our questions. ...She took great interest in what we wanted and listened to our quirky likes and dislikes... every home we looked at had elements of each of our personalities!! She was patient, and when I would forget to ask or didn't know to ask, she would step in!... She made Realty look easy!! When my wife and I were beginning our search for a condo in Jacksonville, we were at a special disadvantage: we lived several ...hundred miles away. Actually, we didn't meet Jody in person until we had been interacting online and by phone for several weeks. Particularly in light of the distance problem, we felt we needed a realtor who would listen to us, who would pay attention to our priorities and our budget. Even though we hadn't met Jody in person, we very quickly came to feel that she was OUR realtor. She was quick to understand the kind of apartment and neighborhood we were looking for, and brought to our attention the properties that best met our needs. Any time we had a question, she was extremely quick to give us a detailed and reasoned response. When we chose a condo and entered into a contract, she was always there for us, answering our questions and breaking what seemed like an intimidating process down into manageable steps. Jody has a warm and friendly presence, but she takes her responsibilities with the utmost seriousness and truly wants to make a positive difference in the lives of her clients. We give Jody our highest recommendation! Bought a Condo home in 2015 in Sunbeam, Jacksonville, FL. My wife and I were extremely fortunate to have Howard Flaschen with RoundTable Realty as our buying agent. Howard expertly navigated us through every step, enabling us to find exactly what we were looking for, staying within our budget, and helping us to seal the deal with ease. With Howard, it was like we were visiting houses with a friend that just happened to really know his stuff about the Jacksonville, FL. real estate market. He always had our best interest in mind. Once we found the house we wanted, Howard worked magic with helping prepare the offer to make it as compelling as possible. It worked too, we got a steal of a deal on this condo. Thank you for all you have done Howard! I highly recommend you to anyone that is looking for a buyers agent. Working with Frank was a pleasure. He accommodated house hunting around my limited time while visiting the Jacksonville area and scheduled as many houses to view as possible. After the first time out he got an understanding of what I was looking for and made suggestions on houses based on my comments. Being new to the area, Frank showed me to some nice neighborhoods and I appreciated his honest candor. His patience paid off and we found exactly what I was looking for. I wanted to drop a note to say THANK YOU for all of your help and patience with our home purchase of 218 Citrus Ridge! Tom and I are thrilled with the new home. We understand it has been a long process, but we really appreciate you taking the time to work with us, even with the coast to coast time difference, and with the cancellation of our first buyer! My biggest compliment and thanks comes from you ALWAYS being available, and extremely efficient with everyone's time. You have been extremely responsive and we truly appreciate it! We would love for you to come by once we get settled and see the new home! We will be more than happy to provide your name as reference to any family/friends who may be looking to purchase in the area! I'm glad this process is over, but thanks again for getting us to where we needed to be! Loved working with Caroline. Very knowledgeable with the markets and will get your home sold quick and help you find what you are looking for. Very professional and easy to talk to. We will always recommend her and co to us to do business with her. I have worked with Gail on several homes. She is very professional and has earned my business on both the listing side and buying side. Her knowledge of the area and local trends has been extremely helpful when determining home values. Gail is also well connected in the industry and is a terrific resource for contractors and home services. I was referred to Erica by a friend in church whose home Erica successfully sold. During our first meeting I quickly became aware of Erica's quintessential professionalism as well as her genuine concern for what my goals were in order to achieve a successful relocation and purchase of our "forever' home. Always available for showing a prospective home, giving current marketing information as it related to the areas we were interested, Erica was also caring and understanding of the various stressors associated with purchasing a home for folks new to the area. Erica was always honest with her answers and always kind and encouraging. Our preparation for closing was flawless and the closing went without a hitch. Erica also networks with only the best professionals who she generously referred us to as the need arose. We feel she and her family are part of ours now and always will be. - Linda & Bill H.
Caroline is helping us prepare our home for sale. We heard from friends about how thorough she is in her work and service. So far we have had an excellent experience. She has been very helpful in guiding us on what improvements to make before we go on the market. She found something we didn't even notice needed to be fixed. She has advised us on paint colors and helped us stage the house. I wouldn't trust anyone else with the sale of our home! We want to express our sincere appreciation for the outstanding service Bill & Nina Bay provided us in the recent sale of our home in Jacksonville. We say without hesitation the service we received from Bill & Nina was nothing short of OUTSTANDING! The stress and challenges associated with selling a home while living in another state can be overwhelming at times and Bill & Nina handled virtually everything for us making the entire process less painless and more pleasant. They went above and beyond what is expected and/or required including; inspecting the home when our former tenants vacated, detailed and documented damages with photos, assisted in identifying general repairs & lawn service providers and inspected work performed by the different service providers. Marketing materials used were professional and included beautiful photos taken personally by Bill and Nina; another detail nothing short of perfect! Within 8 days of listing our home, we had 4 offers and accepted a contract and closed on the sale less than 30 days from the date we listed. They communicated updates daily and interfaced directly with the buyer's agent, title company and lender again making the entire process so much easier than it could have been if we had listed with someone else. We recently purchased a townhouse in Florida with the help of Frank Whibley from Round Table Realty. The process went smoothly with Frank's assistance. Since we live in Connecticut, there were a lot of decisions that had to be made long distance. Frank was there every step of the way. He did several of the walk throughs for us and we couldn't have been more pleased with the results. Frank kept us updated and we trusted him completely. We highly recommend his services! She was so helpful throughout buying process. She was very knowledgeable and kind. She is so responsive so she is right there when you need her. I will recommend her all the people in Jacksonville. Robert was incredibly helpful with us as we searched for our first home. Being first time home buyers we had endless questions and a pretty picky list of things we wanted, not just in the house but the area as well. Robert accommodated all of that and more. Any time I had a question he was there to answer it, and he was always proactive in making sure I was good to go. He made this process for us seamless and a whole lot easier than we expected it to be. He knows Jacksonville well and has a ton of great connections. I will highly, highly recommend Robert to anyone in the area! 03/27/2016 - Jon Cuff - Showed home in 2016 in Del Rio, Jacksonville, FL 32258. Kathy did everything we asked of her and more. We had already moved to New Orleans so I was stressed about doing everything from so far away but she took care of everything and always responded extremely quickly. Great experience and we would definitely work with her again. I'd like to take the time to thank you; Frank Whibley of Round Table Realty so very much for all of your help in the process of buying my house. You have been the most patient, helpful and honest person I've had the pleasure to do business with! There was not one time you were not there with me every step of the way from first contact to closing making sure that I understood everything and that everyone else was staying on task. You made the whole process very smooth and effortless! Your commitment to making sure that I had what I needed was above par. I sincerely thank you Frank Whibley for all you have done for me and highly recommend everyone buying a house to use you and Round Table Realty! I recently worked with Ben on a transaction and he was very easy to work with. While it was clear he was working for his buyer and always making sure they were taken care of, he was willing to go above and beyond to make this deal come together. I wish more agents had his professionalism, communication style, and commitment to their customers. I look forward to working with Ben on other deals! Gail sold our house in St. Augustine, FL this month. As owners who live in NY, we were unable to travel to FL to participate in the process of prepping and selling our home. Words cannot express just how grateful we are to Gail. She worked so hard, going above and beyond our expectations of a realtor, to prepare our home for sale. Her tireless efforts, attention to detail, knowledge of the market, as well as extraordinary kindness, patience, and professionalism cannot be appropriately expressed in this review. My husband and I highly recommend Gail to anyone who seeks to sell or buy their home. She is at least 5 stars as a person and a realtor, and we will be forever grateful to her. I hope some day to meet her and take her out for a celebratory dinner! Thanks for everything Gail!! Robert was the only consistent and calm factor during the home buying process. As a first time home buyer the learning curve is quite steep, Robert provided insight into every question I had and raised ones that I was not aware of or thought about. I’m truly grateful to have him alongside during the calm and stressful moments. Regardless if you are unsure about this process or you’re a seasoned buyer, Robert is the best realtor for you. I do and will continue to highly recommend him. 05/05/2016 – Peggy Carre Bought a Townhouse home in 2016 for approximately $150K in Del Rio, Jacksonville, FL. Erin is very knowledgeable and people friendly. She works with you in finding the right place for you, not just to find you a place. I would definately call her again when I need another house. I loved working with Jen Pallai! Moving from out of state was stressful, but she made the finding and buying process smooth. As a first time home buyer I was nervous about this and Jen took her time to go through everything. We love our new home! Howard & Round Table Realty are outstanding! If you're looking for knowledgeable, professional, and courteous service Round Table Realty will not disappoint. My wife and I thoroughly enjoyed our first home purchase experience. I would certainly recommend Howard to anyone looking to buy a home.